Hao280.com is a browser hijacker which could have entered your system together with free software you downloaded from the Internet. It is called a browser hijacker because it hijacks browsers’ settings when it enters computers. That is, it changes their settings and, because of this, users see a new search tool when they launch any of their browsers. 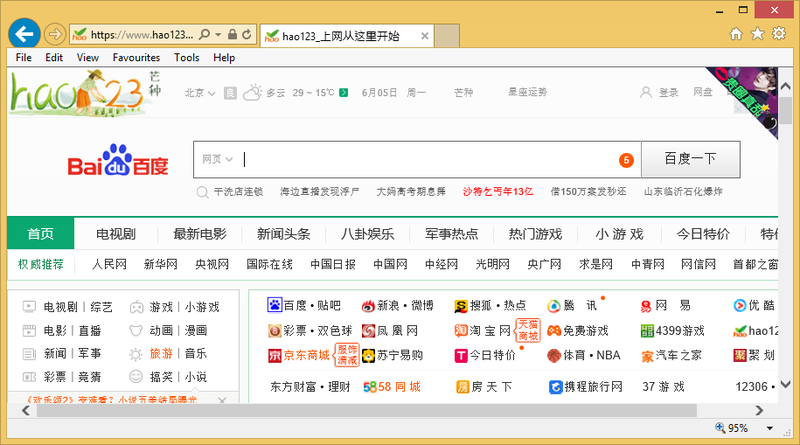 This Asian search tool reminds of a genuine search provider, but it is not reliable, so if you already see it every time any of your web browser is launched, go to uninstall Hao280.com immediately. Browser hijackers might seem to be quite harmless at first glance, but, in reality, they might be associated with many problems, so keeping them inside systems might be a very bad idea. Also, if you do not eliminate a browser hijacker affecting your browsers, you will not be allowed to set a new search tool. Hao280.com is an undesirable search tool even though it looks like a trustworthy search provider. Its first minus is that it is set on users’ browsers without their permission. That is, it hijacks users’ browsers without mercy. Second, it might display untrustworthy search results to users. These are the so-called sponsored links, and they can redirect users to pages containing malware one day if they keep clicking on them. It is not the only problem which might arise if Hao280.com is used to search the web. You might get your privacy violated too because search tools promoted by browser hijacker infections always try to obtain personal details about users. On top of that, they record non-personal details about users’ interests and web searching activities as well. Actually, those pages sponsored search results redirect users to might act the same, so make sure it is impossible to click on them – implement the Hao280.com removal today. If no sponsored links are provided to users, they will have zero chances of clicking on them and landing on bad websites. Where does Hao280.com come from? It might seem that Hao280.com has appeared on your web browsers out of the blue, but it is not exactly true. The appearance of Hao280.com on browsers is directly linked to the entrance of a browser hijacker. These infections come with free applications in bundles in most cases, but it does not mean that they cannot slither onto computers somehow differently, so every user must have a security tool active on their systems. It is the only way to make sure that undesirable software cannot enter the system. How can I remove Hao280.com? You need to delete Hao280.com from browsers today because it is a threat that can cause trouble even though it looks harmless. There are two ways to delete Hao280.com: this can be done either manually or automatically. Of course, the method you choose to remove Hao280.com is not the most important thing – it is more important that you implement the Hao280.com removal fully. You can check if Hao280.com is gone by simply trying to open your browser again.